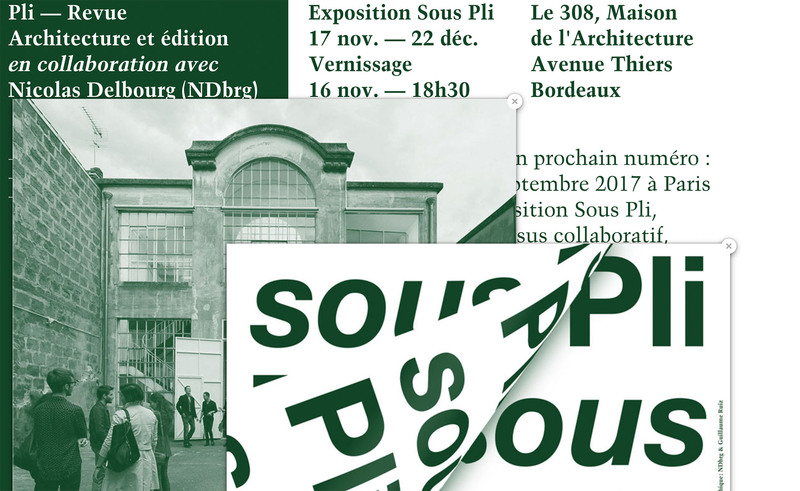 A: The exhibition « sous pli » explore the steps of the design and production of the book Pli # 3 which confronts and questions the disciplines of architecture and publishing. The idea was to give the visitor a tool to inspect the content as in-situ and this website offers evolving content as a continuation of the exhibition. May that’s why this website is more brutalist and an interactive experience than a commercial one.